Families come in all shapes and sizes. During special events — particularly those steeped in tradition, such as weddings — blended families may have to employ certain tactics to ensure the events go off without a hitch. When planning their weddings, couples must give consideration to the needs of their families. 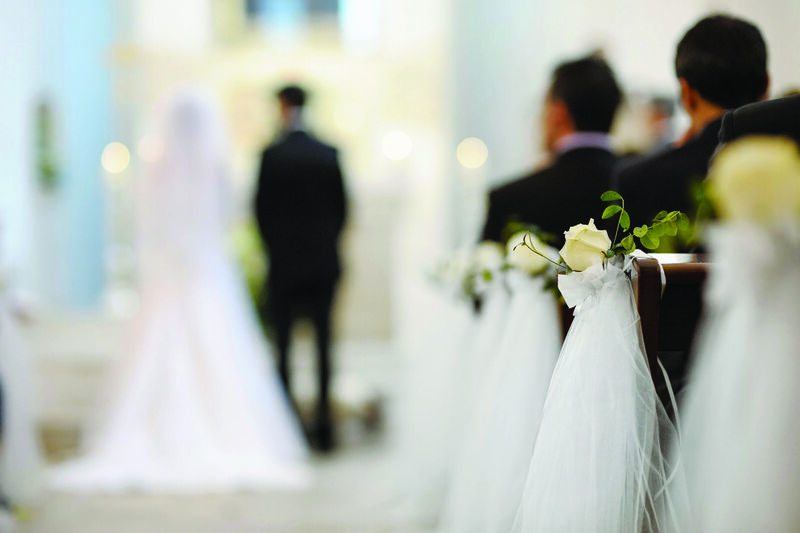 Even though a wedding is about the union of two people, oftentimes couples engaged to be married must contend with the politics of divorce or other familial issues. This includes if and how to incorporate stepparents and stepsiblings into the ceremony and celebration. There are no traditional rules regarding how to handle blended families, so brides- and grooms-to-be can customize their decisions based on their own unique situations. Even when families have been happy through the years, the unique circumstances and traditions surrounding the nuptials can dredge up former insecurities, and certain aspects may require extra patience and tact. Here’s how to navigate the process. • Consider stepparents and stepsiblings VIPs. Brides and grooms who are not particularly close to their stepfamilies still have to recognize the role they play in the family dynamics. These people are still family, so respect and courtesy should be offered. If there is any lingering animosity, extend the olive branch on this day and try not to let anyone be made to feel as if they are unimportant. A simple announcement of who stepparents are at the wedding reception or inclusion of their names on wedding itineraries can help smooth over any potential bumps. • Put others’ needs before your own. While the wedding may be about you and your future spouse, you must consider the feelings of others. Biological parents and stepparents may act defensively if they feel uncomfortable or hurt, and that can create an air of negativity to the day. Try to avoid this by considering potential areas of conflict. For example, mothers might be hurt if their ex-husbands’ new girlfriends are asked to be in a group family photo. Instead, select separate times to have everyone included. Remember to give parents and stepparents priority seating as well, and they each should be seated next to someone they love and someone with whom they can converse comfortably. You may think everyone can play nice, but it’s best not to push the issue just to make a point at the wedding. • Recognize that some families break the mold. Recently, a father made waves on the Internet when a video of him pulling the bride’s stepfather up to assist in walking her down the aisle went viral. This was a wonderful image of families making it work despite their differences or the awkwardness that can result when brides or grooms have parents and stepparents in attendance. Although this scenario might not play out for all, find ways to impart a special touch, especially if you’re close to both your biological parents and your stepparents. For example, your biological father may walk you down the aisle, while your stepfather may enjoy the first dance. • Order flowers and gifts for all. Purchase flowers and wedding party gifts for all of the special people in your lives, including your stepfamily. Weddings can be complicated affairs when factoring in blended families. With patience and compassion, such families can enjoy a beautiful and happy day.